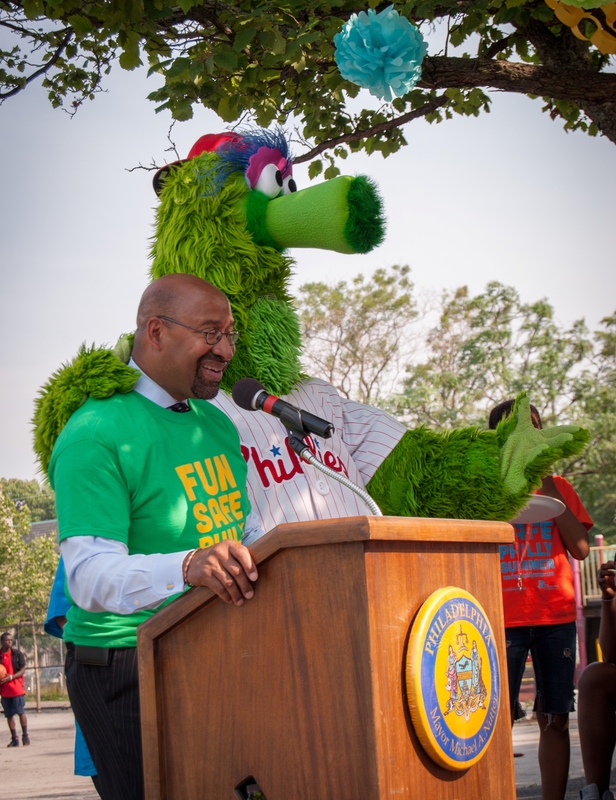 To celebrate the start of summer, Nutritional Development Services joined the Greater Philadelphia Coalition Against Hunger, U.S. Department of Agriculture, and many others at the 2015 Fun Safe Philly Summer Kick-Off event. The event took place on Thursday, June 11th, 2015 at the Martin Luther King Jr. Recreation Center. 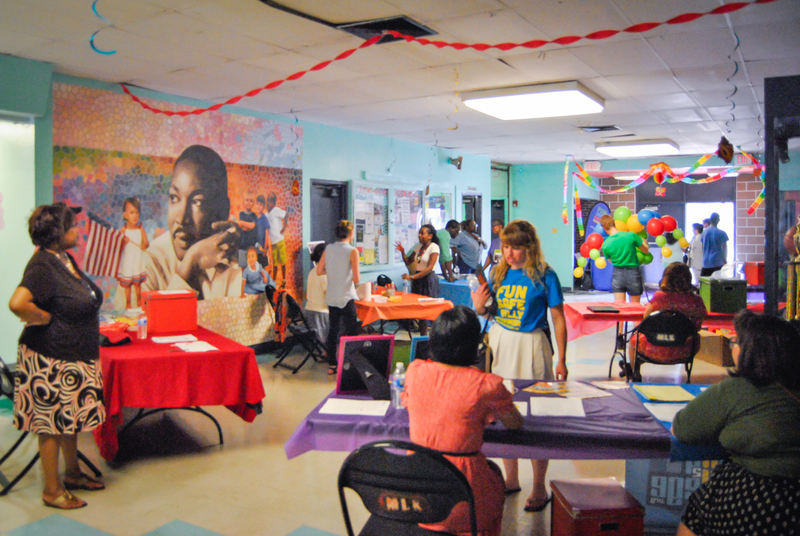 The resource fair connected Philadelphia’s children with summer meals, accessible programming, and summer jobs. The event also included outdoor sports, and arts and crafts projects. Fresh vegetable quesadillas and healthy snacks were served. 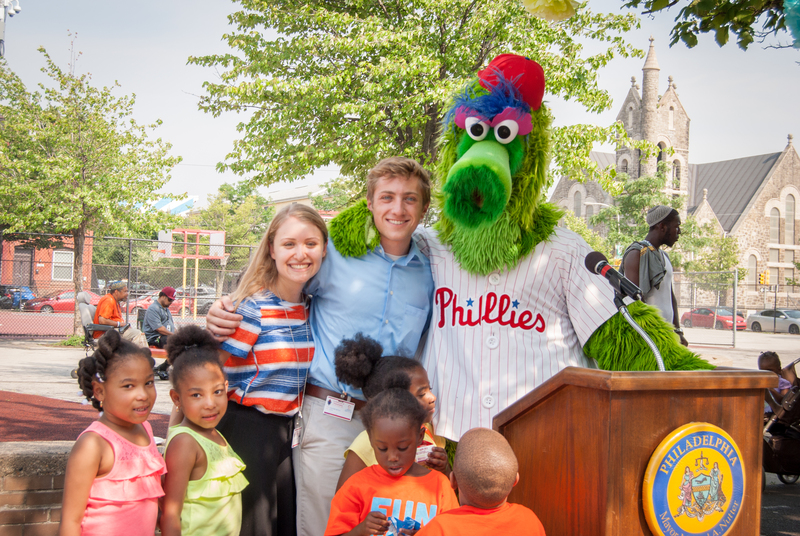 The Philly Phanatic braved the heat to entertain the children and adults of all ages. The main highlight of the event was an inspiring speech by Mayor Michael Nutter. He emphasized that the children of Philadelphia should all be able to have a fun and productive summer. Everyone had a great time! The Greater Philadelphia Coalition Against Hunger is running a summer meals hotline and texting service. To find a Summer Meals site near you, call 855-252-MEAL or text “FOOD” or “COMIDA” to 877877. Guest blog post by Leora, one of our summer fellows from the Fox Leadership Program at the University of Pennsylvania!